On Jan 14th, China-Japan Blockchain-ChainUP Unicorn Summit was held in Tokyo, Japan. 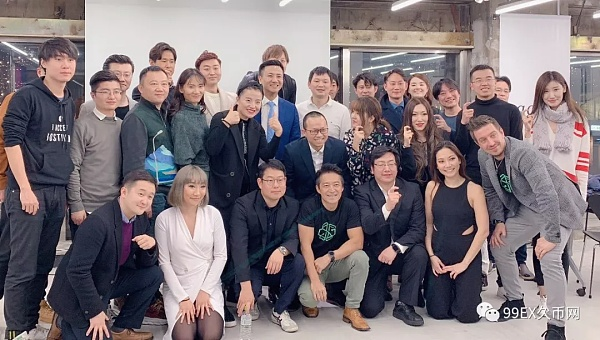 99EX was invited as a distinguished judge to attend this event together with many Japanese professionals engaged in blockchain project and media to discuss blockchain development in both countries. During the summit, 99EX was highlighted in several Japanese media reports, which sparked broad discussion and drew attention from Japanese blockchain communities. 99EX also cemented in-depth cooperative ties with many Japanese counterparts to build up an innovative exchange platform that suits Japanese user demands. 99EX’s presence in China-Japan summit marks its 2nd stop in the global strategic landscape following its first global online launch in Seoul, South Korean, also kicking off its market presence in Japan. 99EX originated from the world biggest digital assets exchange OKEx. Its core team is comprised of senior professionals in finance and investment sectors who are very knowledgeable about blockchain and devoted to innovative blockchain development and a healthy ecosystem. At the outset of 99EX’s launch, it actively tapped into international markets by setting up 99EX Lab and 99EX FUND as key parts in the global strategy to offer professional services to global blockchain projects and users. 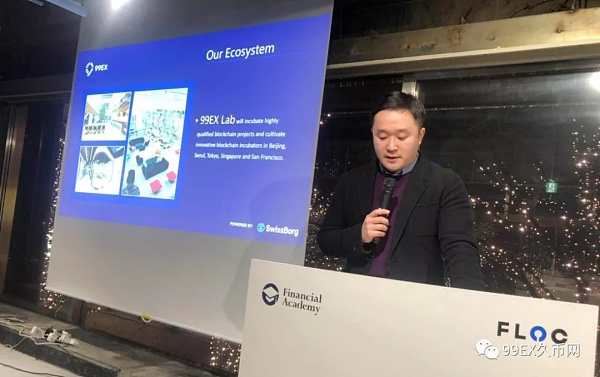 99EX Lab will set up innovative incubator for blockchain projects in Beijing, Seoul, Tokyo, Singapore and San Francisco to incubate quality projects worldwide. 99EX FUND is committed to innovating the global blockchain industry, investing and empowering worldwide quality projects in order to bolster sound blockchain development. The China-Japan Blockchain Summit brought together all the mainstream media and blockchain media in Japan: Cointelegraph, Coin Otaku, Coin Post, Crypto Times, etc, and attracted millions of Chinese participants through Chinese top-tier media: Jinse Finance, Bi Shi jie, Lian Guan Tian Xia, etc. In addition, the summit is also a grand event that combines an offline blockchain project contest and online television program. The offline contest has been broadcast by Dragon TV, which provides projects with the most potential a chance to matchmake with the top 20 venture capital companies in China: NGC（NEO Global Capital）, OGC（ONT Global Capital）, OK Blockchain Capital, Huobi Capital, Node Capital, Fenbushi Capital, etc. Digital currency exchanges currently have come under attack for their poor trade experiences, unitary trade model, low-level transaction depth, high thresholds for issuing coins at top exchanges and high risks with small and medium-sized exchanges. Honored to be one of the distinguished judge at the summit, 99EX will offer user-friendly trade functions, smooth trade experiences and secure and reliable transaction service to global blockchain projects and users in order to create new digital assets value.